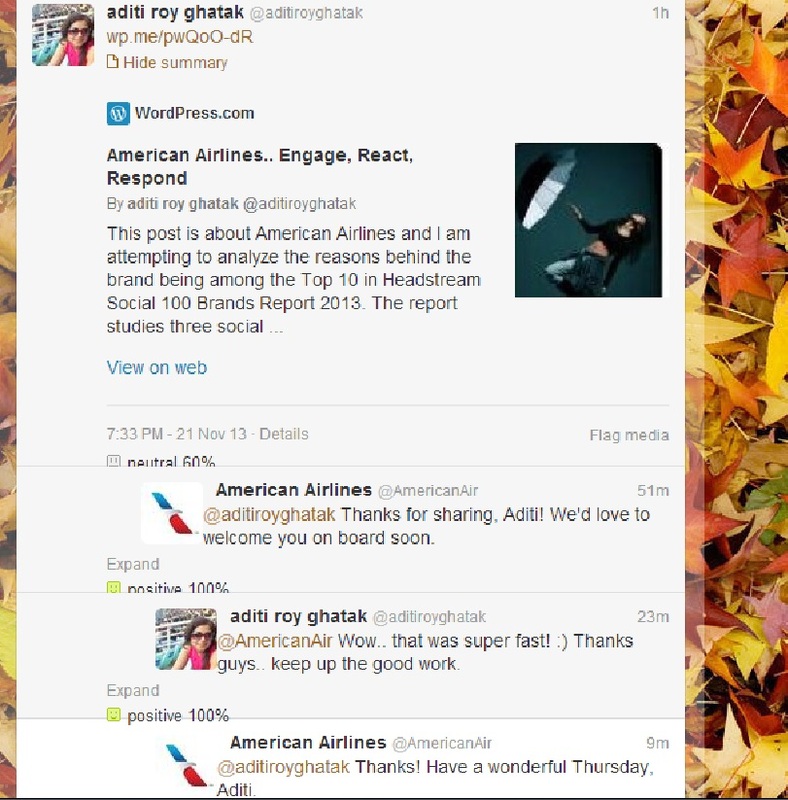 This post is about American Airlines and I am attempting to analyze the reasons behind the brand being among the Top 10 in Headstream Social 100 Brands Report 2013. The report studies three social platforms for every brand – YouTube, Facebook and Twitter. 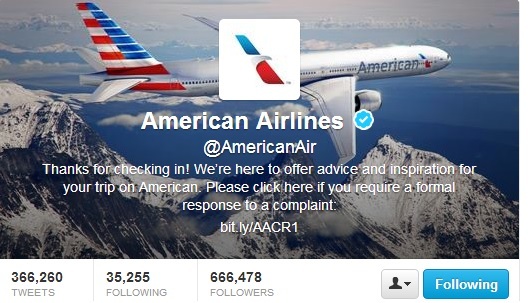 I had a look at the American Airlines’ social channels and its online activity. 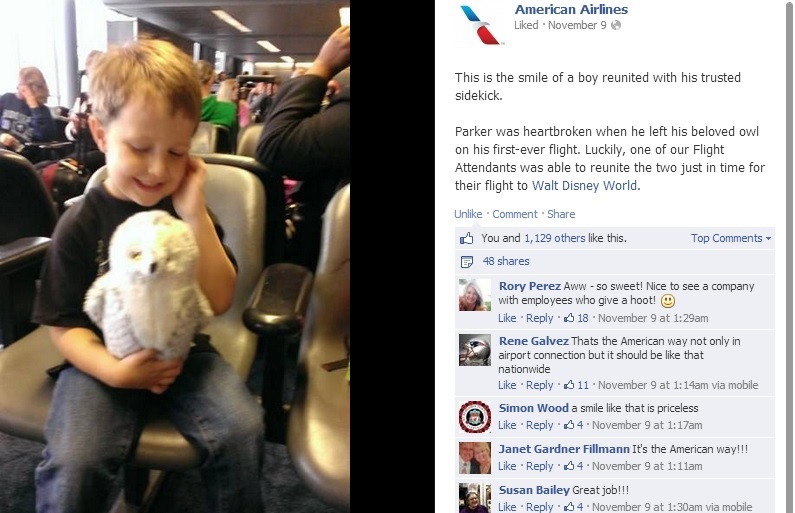 What did strike me about American Airlines instantly when I started browsing through its various channels, especially on Facebook and Twitter, was the amazingly and insanely high level of engagement with the online followers. The tone of communication even online is friendly and human and not as expected totally stern, monotonous and professional language. The level of interaction with followers is kept high by frequent polls, contests and quizzes on their Twitter and Facebook page. Another amazing aspect of American Airlines’ online marketing is the way in which it relates to the customers by making them a part of their branding strategy. There are pictures of real customers and not actors having a good time in their lounge / taking wedding photographs in the lounge and during many memorable moments showcasing how American Airlines has touched the lives of many customers. This one here is really touching. As per the guidelines, I didn’t go through the ranking methodology of the report 🙂 After carefully, studying the social presence of American Airlines – trying to do as much hair splitting analysis as possible – I had a look at the methodology for ranking and the KPIs across each of the social media platforms. Not surprisingly, response time taken by the brand to reply to user comments and response rate i.e. no. of posts / comments replied to by the brand were significant engagement factors for Facebook and Twitter. Other than the standard ones like no. of views, like / dislike ratio, subscriber base, fan / follower growth rate, mentions etc. And this totally makes sense because a social presence is not about just talking – for that there are traditional forms of marketing. Listening, reaction and response are inevitable aspects of marketing online. Great Learning..